Welcome to Veligandu Island Resort & Spa, a Maldives beach resort that captures the essence of paradise. Our thoughtful hospitality coupled with the authentic beach chic lifestyle makes Veligandu the best island in Maldives for travellers looking to create timeless memories. Veligandu Island Resort & Spa is the only resort on the island of Veligandu in the North Ari Atoll and a scenic 20-minute flight from Velana International Airport. 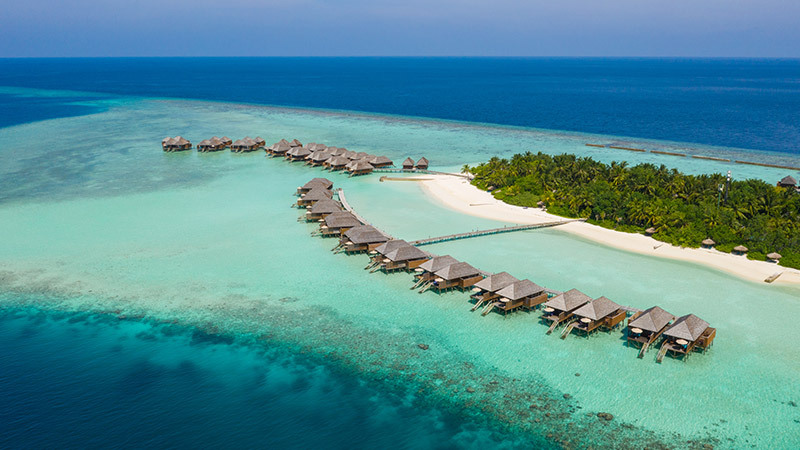 About 600 metres long and 150 metres wide, Veligandu Island Resort & Spa provides privacy around every corner. The lush tropical surroundings, the pristine beach and the sparkling turquoise lagoon, are sure to delight.